Overlooking the water, nestled among trees and old stone walls, the Lloyd Center for the Environment’s newly constructed Teaching Pavilion is the first visible sign of the Transforming a Legacy capital campaign. 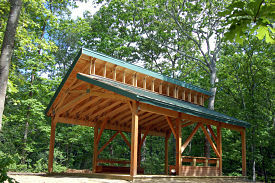 Reflecting the Lloyd Center’s ongoing commitment to environmental education, this 600 square foot, open-air structure provides a dedicated gathering place for teaching and group discussions for the school groups who visit the Center, as well as community visitors. In inclement weather, the pavilion protects students and visitors from the elements while allowing them to remain immersed, engaged, and inspired by the natural landscape. Careful thought was given to site determination and building materials for the new structure. It is strategically located on the Hardscrabble Farm Loop Trail, near the bird blind, and overlooking the Slocum River. Reinforcing the hands-on approach to learning, students are totally immersed in the habitats they are learning about. 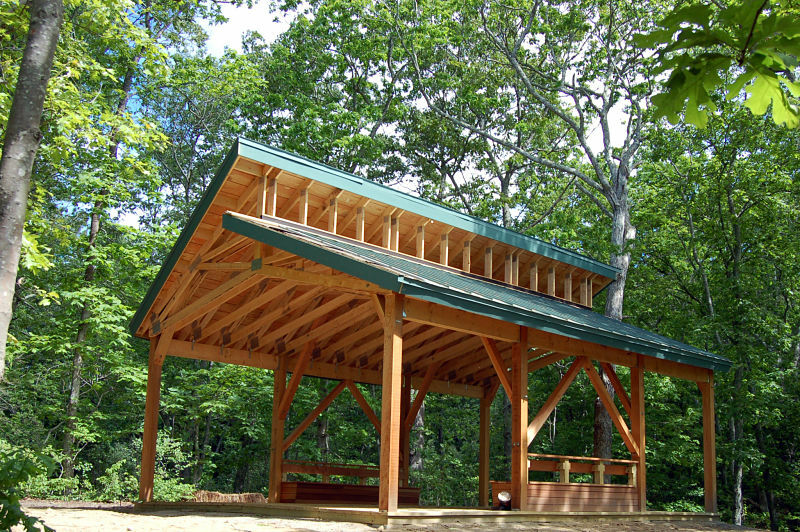 The design of the structure and wooden frame were chosen to blend into the natural environment, as well as allowing expanded accessibility for visitors. The Teaching Pavilion is the first of three exciting building projects at the Lloyd Center. A new Welcome Center, designed to meet the stringent standards of the Living Building Challenge (www.living-future.org), and much needed renovations to the existing Exploration Center are scheduled to begin shortly. To learn more about the “Transforming a Legacy Campaign”, please contact Gaelen Canning at 508-990-0505 ext. 12, or development@lloydcenter.org.